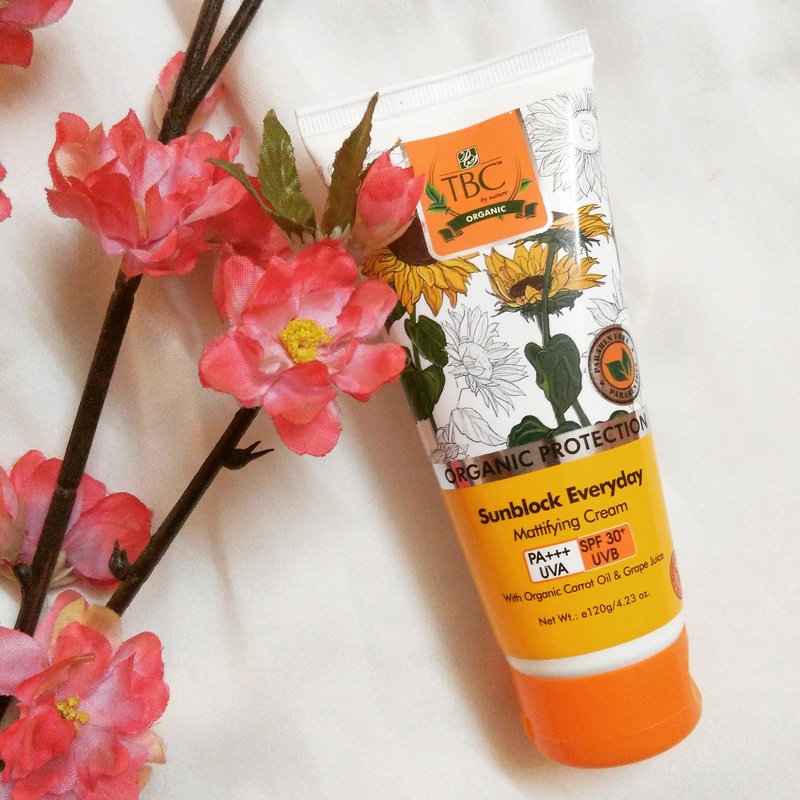 Recently TBC by Nature has come up with suncare range and one of the product from their suncare range is this Sunblock Everyday Mattifying cream Spf 30+ with organic carrot oil & grape juice. 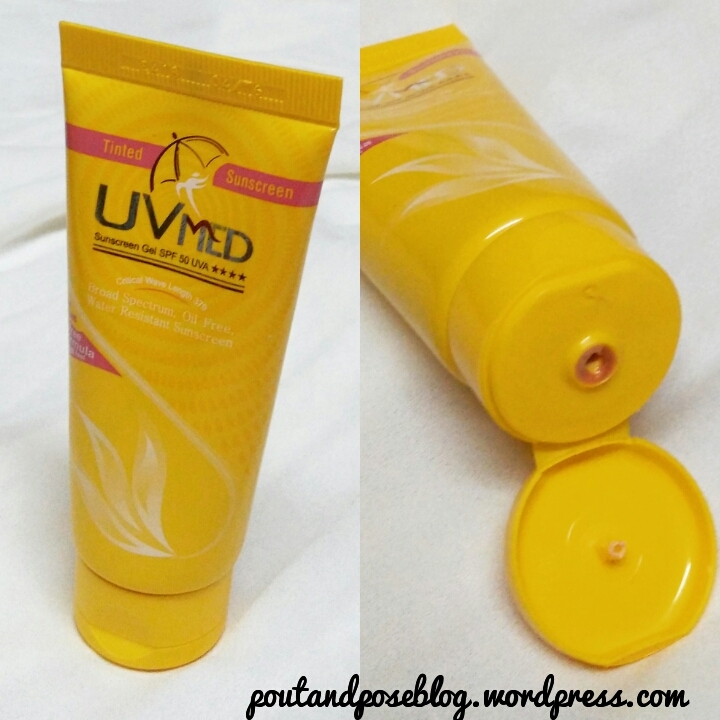 Packaging : It comes in tube with a flip cap. The tube comes inside a cardboard box. All the information has been mentioned both on the tube as well as cardboard box. Love the colour and the floral design on the tube. 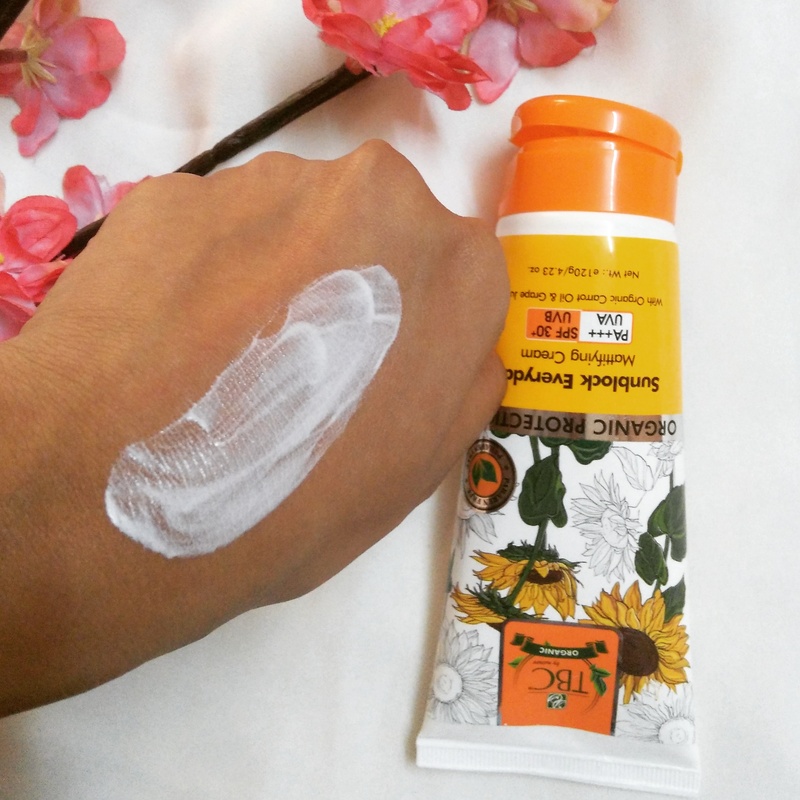 The Sunblock cream is white in colour and has medium consistency. 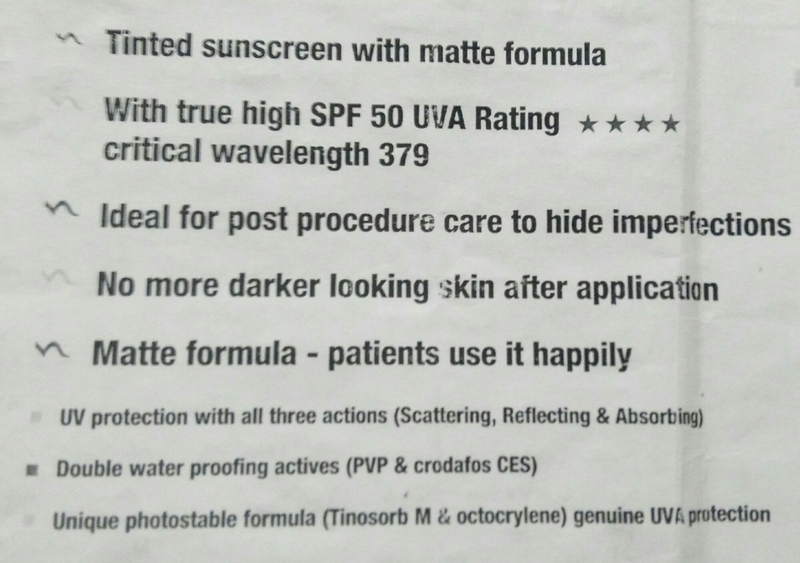 I was very excited to use this cream as it has the words ‘ mattifying’ on it. As for all the oily skin beauties the word mattifying is the key. 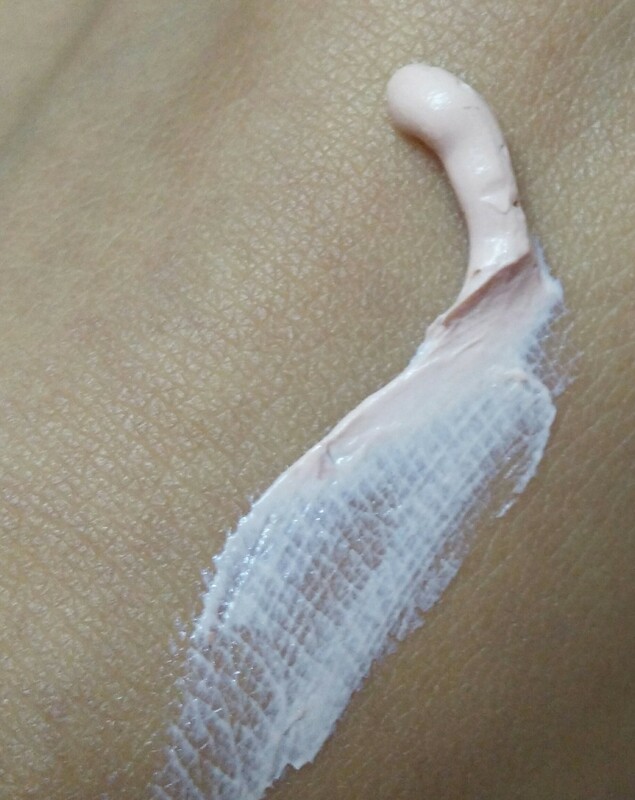 The cream is light in weight and doesn’t feels heavy on the skin. It needs to be massaged properly in order to get it completely absorbed by the skin. It doesn’t makes the skin oily nor leaves a whitish cast And also keeps my skin hydrated. My face looks a little radiant after applying this. But the radiant effect vanishes after a few hours. 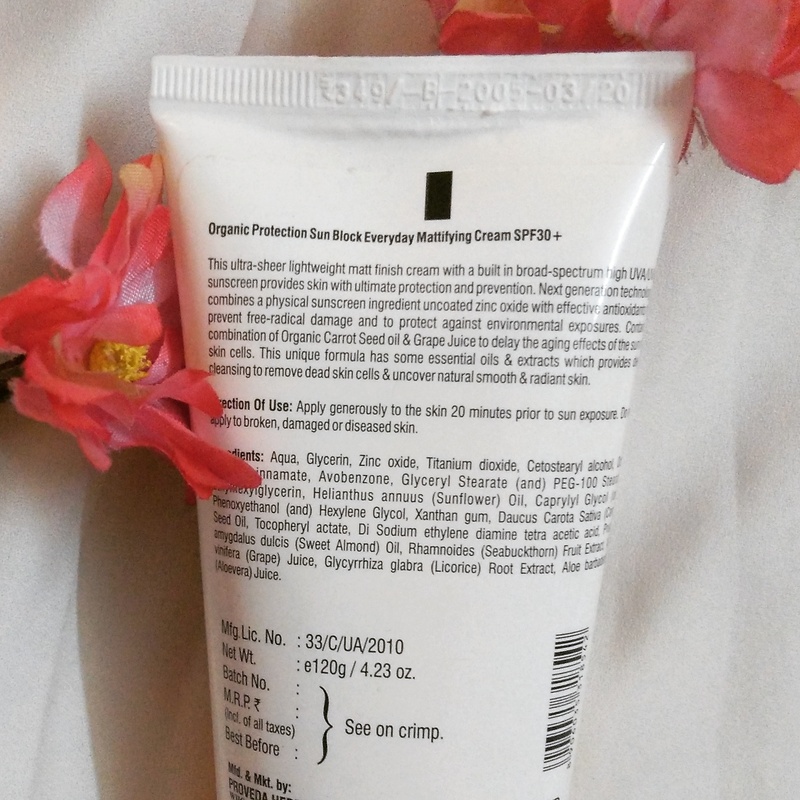 Zinc oxide & titanium dioxide present in the cream are very effective in protecting the skin from UV rays. The cream also contains organic carrot oil & grape juice to fight against aging effects of the sun on skin. Overall a good product. Totally recommended. Even though monsoons have set in, the sunlight is very harsh during the afternoon hours. And therefore wearing a sunscreen is a must if you are heading out. I dont usually apply sunscreens because they only make my skin oily and chip chip. To be honest i have used sunscreen just 2-3 times. The moment i felt they make my skin oily i stopped using sunscreens. I usually apply lacto calamine lotion while heading out and now i mostly use the caladew lotion from Ethicare remedies. I love it. 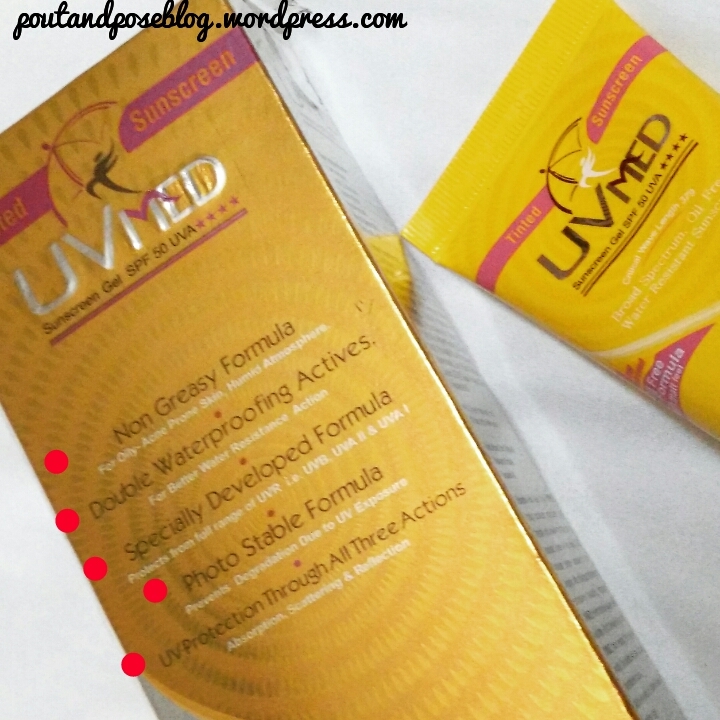 So Last week i got a UV Med Sunscreen gel from the brand Ethicare Remedies. Here have a look. 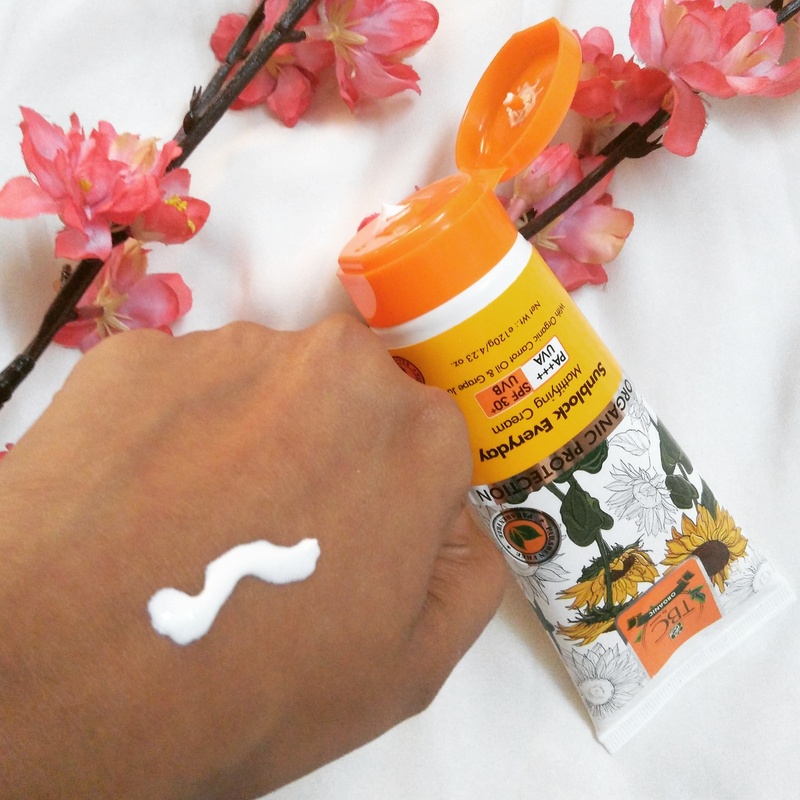 The sunscreen comes in a yellow coloured tube with a flip cap which is tight enough and that makes the packaging travel friendly. The tube comes inside a cardboard box. 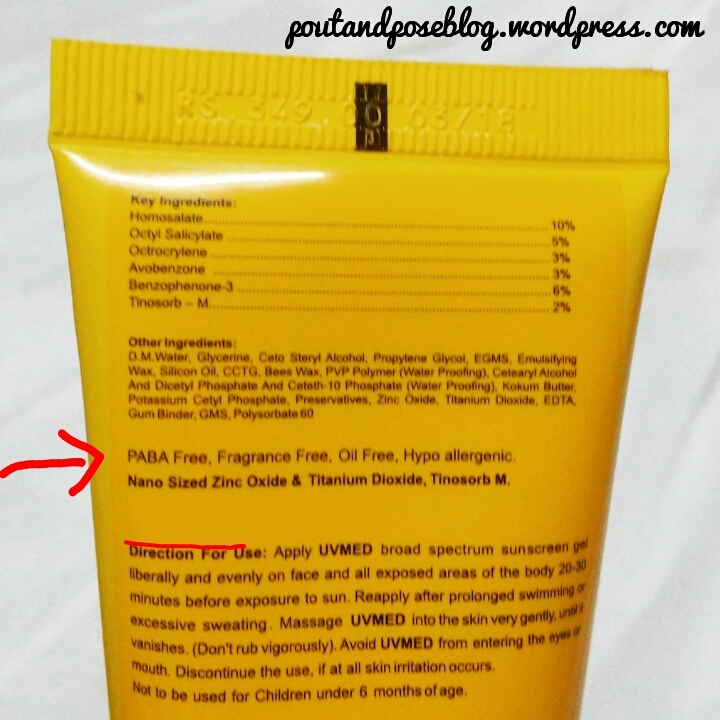 The sunscreen is beige coloured and has a thick consistency. It is cream based and not a gel. It is slightly fragranced nothing overpowering though. Priced at 349rs for 50ml. First of all the sunscreen is not a gel. Its cream based. I dont know why they have called it sunscreen gel. Again the sunscreen is not tinted. It doesnt gives full coverage. However it spreads easily on the skin & gets absorbed quickly. You dont have to struggle with it. Its extremely light weight and doesnt makes my face heavy. However i felt it a bit oily on my skin. But Nothing greasy type. It doesnt gives a matte finish as claimed by the brand. Again it has fragrance so the fragrance free claim by the brand is also not true. The fragrance though is not overpowering and vanishes after an hour of application. People with dry skin will love it. Oily skin types can give this product a try because its not too much oily. 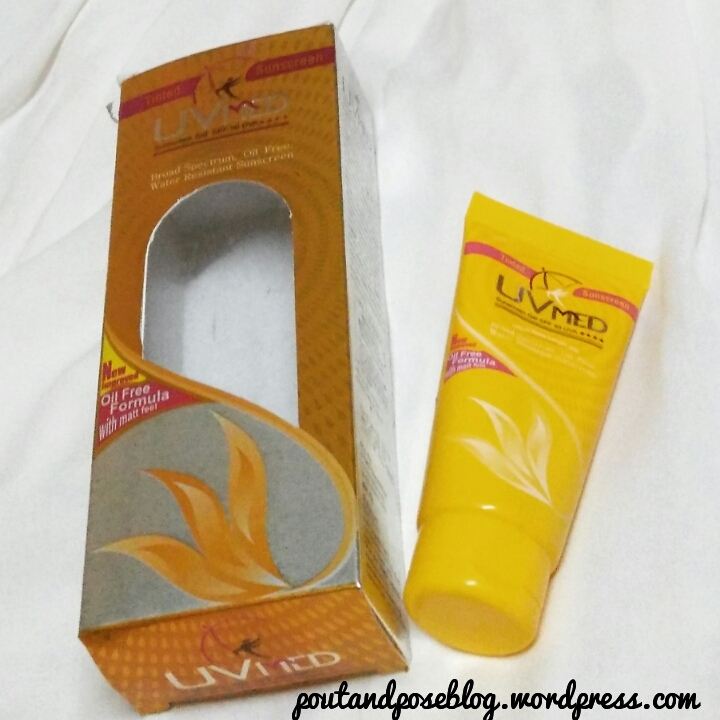 Its a good sunscreen as compared to other sunscreens that i have tried.